What I found when I met Todd was an accomplished and strong rider whose position on the bike was holding him back. He was too upright and stiff causing him to lose efficiency and speed due to his aerodynamics (or lack of). 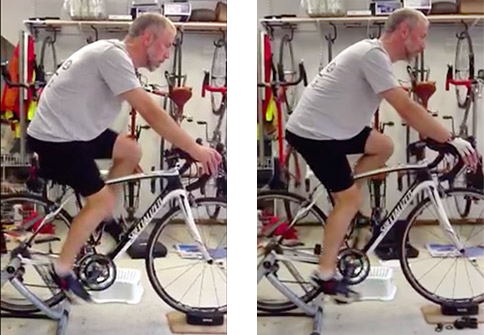 His fit process involved not only adjustments to his bike but also coaching and stretching exercises. The work he put into his body paid off with great improvements in his position over a matter of months. Sometimes it’s better to focus on adjusting the body than just trying to make the bike fit a body better. Todd’s case is a prime example of this approach. Last summer I researched bike fitters, and Smiley's name came up in a couple circles as highly recommended. I reached out and he was able to work me in very quickly to fit me for my road bike. 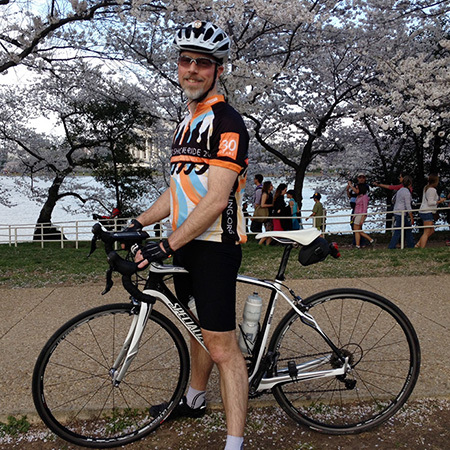 When I came to Smiley I was a Potomac Pedalers strong BB to A rider with ambitions to start racing. However, I knew there were some issues with my bike fit, based on a couple opinions from fellow cyclists, and personal observations of long-term endurance and comfort on my road bike. During my first fitting, Smiley videoed me before and after. I was really shocked at how different I looked on the bike after he moved things around. Not to mention how much more comfortable I felt on the bike, reducing strain on my neck. It was starkly clear my form had been poor and causing undue stress on my body, as well as limiting my ability to generate power. 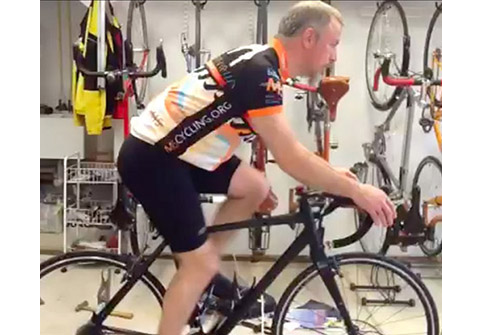 However, in addition to adjusting the bike to put me in a better position, Smiley informed me about how my body mechanics work, and what the benefits of good form are. For example, keeping my core engaged and my hips rolled forward engages my quads, helping me generate power! I had no idea. Coupled with regular stretching and some yoga, concentrating on my form on the bike has pushed me solidly into the AA level of riding. Not only am I now a strong AA rider, but that level of riding feels easier than riding slower had only 6 months ago. I feel like I generate more power with less effort! Granted, I had to do a lot of work. Smiley only fitted me and told me what to do. The rest was on me to actually follow through. But I can say personally, that if you get a fit from Smiley and follow his guidance on form and stretching, you will become a faster, stronger cyclist!